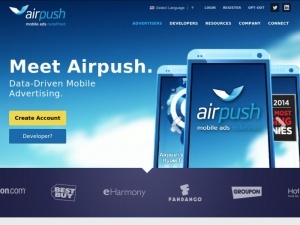 Instantly uncover any advertiser’s online strategy. Learn what’s working for them. Leverage their results to spend smarter. Your competitor’s marketing strategy is evolving this very second. Do you know what they’re up to? 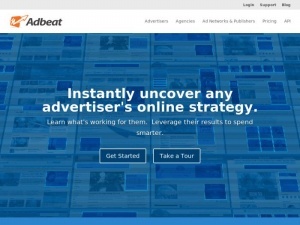 The World’s Most Successful Advertisers, Agencies & Publishers Trust Adbeat. Discover how we help our customers increase their profits. Get access to our best display advertising tips and tricks. You’ll join over 15,000 other advertisers, agencies, and publishers that have already discovered how to increase their display advertising ROI. Improve your advertising ROI within minutes. See your competitor’s marketing strategy, discover high-performing publishers & placements, and identify their best converting ad copy, landing pages, and sales funnels. 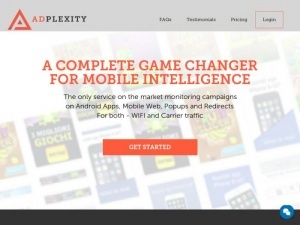 Amaze your clients with insights & results that no other agency can provide. Use real-time intelligence on publishers, competitors, and ad networks to design more profitable media plans that will blow your clients away. Find more premium advertisers, sell more inventory, and extract more revenue from current clients. With Adbeat, you can identify shifts in advertiser spend to capture more ad revenue, uncover new clients, close more deals, and uncover premium advertisers who are ready to buy more. Competitors love to talk about «big data». But big data is only useful when you know what to do with it. That’s why Adbeat’s data scientists developed not only the largest, most up-to-date repository of advertiser data… but also a revolutionary tool kit that transforms big data into huge insights. Discover why our technology makes our customers more successful. Adbeat’s display advertising experts are here to help. Fill out the form below — a real person will respond within 24 hours. Copyright ©2010-2014. All Rights Reserved.